Flower color: pale pink. Bloom time: June. 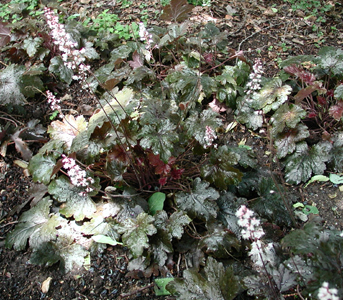 Foliage color: silver and green with maroon undersides. 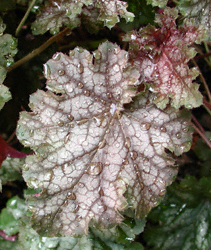 Attributes: attractive silver and green foliage.